There can be very few researchers of the world of the unexplained who have not experienced, now and again, a sense that the phenomena they investigate sometimes manipulates them. For some people, it can be an exciting and illuminating experience. For others, it can be downright terrifying, and something which has led people to quit – forever – the world of the paranormal. I have experienced this sense of manipulation more than a few times, but last Saturday night things became downright crazy. Right now, I’m working on a new book that includes a small overview of the Mothman mystery, which dominated the town of Point Pleasant, West Virginia in the 1960s. So, over the course of the last week, and even though I’m very clued-in on the subject, I have been doing a bit of additional research into the winged beast made most famous in John Keel’s classic study of the case, The Mothman Prophecies. Well, as coincidence (or synchronicity) would have it, on the very same day that I began my research last week, I received in the mail a package of new books from Andy Colvin, the author of no less than five books (s0 far!) on Point Pleasant’s most famous monster. They are: The Mothman’s Photographer, The Mothman’s Photographer II, The Mothman’s Photographer III, The Mothman Speaks and The Mothman Shrieks. As well as writing books on Mothman, Andy has also moved into the world of publishing, which brings me back to the package of books that arrived last week. It was a parcel that contained the aforementioned The Mothman Shrieks, as well as three additional titles. One of them was Praise for the Hairy Man (a new Bigfoot-themed book Andy has written with researcher Jeffery Pritchett). The other two books were The Outer Limits of the Twilight Zone and Flying Saucer to the Center of Your Mind. These two latter books are particularly recommended, as they are collections of the selected writing of John Keel – many of which would be very hard to find, were it not for the fact that Andy has now made them available. And, with that all said, now we come to the events of last Saturday. I should explain that I have spent the past week or so stuck at home with a chest infection. And so, bored utterly rigid on Saturday night, I decided I would watch again the 2002 movie version of The Mothman Prophecies, starring Richard Gere, Laura Linney, and Alan Bates. From the beginning of time, there have been reports of flying humanoids. Recently, Mexico had a string of sightings of large bloated floating humanoids. 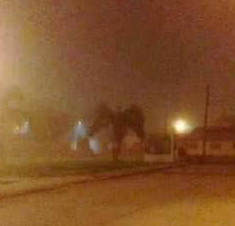 Some people believe that these so-called humanoids are no more than a group of balloons floating in the air, but if that is true, what is the account of a flying humanoid that landed near a police vehicle and the Mexican policeman that saw a close-up of this humanoid claimed it looked like an evil haggard witch that had a sinister glare. He was so scared he sped out of the area and never looked back. Below are various reports of flying humanoids. The humanoids below do not come from the minds of DC or Marvel Comics writers and artists; they come from real people like you and me. Read on! Van Meter Creature. The town of Van Meter, Iowa became under siege on October 1903. We get reports of an entity that has massive membranous wings. It also has a beak and a glowing horn on its head that emits light. Witnesses say that this entity came from an opening of a Van Meter mine shaft. If you believe in the Hollow Earth theory, then you will understand that there is a possible world inside of our Earth. A world described to have crystal cities, flying discs and many strange humanoids. Admiral Byrd was the first one that made claim that he went into an opening in the Earth while in Antarctica and came upon a very strange reality. A reality in which a UFO captured his plane for a while and dragged his plane deeper into the abyss. It's hard to understand how this great adventurer and explorer would fabricate such a story, unless it really did happen. It is also said that in the subterranean depths of Earth is where Bigfoot takes residence. Many local Indian legends and even the Sumerian Clay Tablets make reference of wild men or Bigfoot living in the deep caverns of our planet. Valkyrie of Voltana. Voltana is a tiny village nestled in Spain’s remote and scenic Pyrenees Mountains. June 1905, there were several sightings that took place. The location was an epicenter for miraculous series of events. A woman robed in white, with long clinging draperies, has flown over the town of Voltana. When you have multiple witnesses, the story must have some kind of foundation of truth. Arsenyev’s Flying Man: Military man Vladimir Klavdiyevich Arsenyev. In 1906 did some scientific expeditions into the mountainous Sikhote Alin region. His job was to map and document the unexplored, temperate wilderness to the best of his ability. You can say he was the forerunner for the likes of Google mapping. While on one of his expeditions, he came across a strange flying humanoid that had a distinct human shape and with that human shape came large bat wings. Another incident, the Ivanitzsky family found a small winged creature under their child’s bed. The Ivanitzsky family panicked, but they knew they had to get rid of the creature, so they finally managed to kill this abomination with household chemicals. The creature they saw had five foot leathery wings, three fingered claws, blue fur, and a flat primate like face with large eyes and lipless mouth. This all took place near and around Petersburg, Russia. Angels of Mons. WWI. Aug 23 1914 British Expeditionary Forces hard push to the German frontlines. Regiment of angels assisted the British according to legend. Arthur Machen wrote a story about phantom archers that were lead by St. George and perhaps this story was confused with the British Expeditionary Forces and angel regiment story. Many scholars that have studied this case believe that this is the case. Kazakhstan Flying Humanoid: In the town of Pavlodar, Kazakhstan a girl was strolling to school, she makes claim that she saw a medium sized man with black overalls and donning a matching helmet that obscured his face. Wearing an oval rucksack on its back, this flying humanoid emitted a low rumbling noise. POINT PLEASANT — Museums are usually reserved for proof. Their exhibits — whether it’s a taxidermied specimen of some long-extinct animal, a collection of dinosaur bones, a historic document or some famous work of art — are meant to prove the existence of something and preserve those artifacts for future inspection. Not so with the Mothman Museum, Point Pleasant’s number-one tourist attraction. There is no Mothman specimen. There’s not even a clear photo of the creature, or any other definitive proof of its existence. Like Bigfoot or the Loch Ness Monster, Mothman is a mythic creature that some people adamantly believe is real, even though the larger scientific community does not. However, the museum does feature several different kinds of “evidence,” such as it is, laid out for visitors to form their own opinions. Founded in 2006 by Jeff Wamsley, author of “Mothman: Behind the Red Eyes,” the museum claims it has drawn visitors from all seven continents. It relocated last month to a new storefront just across from the town’s famous chrome Mothman statue. The museum will mark its grand re-opening this Saturday at 9:45 a.m., as part of the 13th annual Mothman Festival. While the collection was a bit jumbled in its former location, the new larger space has plenty of room to spread out spacey memorabilia, allowing the museum to better organize its exhibits. One table features a display case containing hand-written eyewitness accounts of the first reported Mothman sighting. On Nov. 15, 1966, Roger Scarberry, Linda Scarberry, Steven Mallette and Mary Mallette claimed they saw a large, winged creature with glowing red eyes during a late night drive. The same table holds a scale model of the North Power Plant, Mothman’s alleged lair that was demolished in the early 1990s. There’s a corner devoted to the “men in black,” the mysterious agents some believe were dispatched to keep Mothman witnesses from talking about their experiences. There are also displays devoted to John Keel, the writer and “UFOlogist” who wrote the 1975 book “The Mothman Prophecies,” and Mary Hyre, a local newspaper columnist for “The Athens Messenger” who often wrote about Mothman sightings. One wall is devoted to memorabilia from the 2002 film adaptation Keel’s book, including a blanket from the movie’s motel scenes and a police uniform worn by star Laura Linney. An adjacent display includes newspaper clippings from the 1967 Silver Bridge collapse, which happened shortly after Point Pleasant’s final Mothman sighting. Is this the Mothman in VA? I doubt it but worth looking at. Sorry about the Language . - Gallipolis, Ohio - early 1966 - night: A woman who lived in a farm had reported her cattle being mutilated by unknown assailants. One night she went out armed with a shotgun to investigate and encountered several tall men wearing white coveralls. She chased them but they ran very fast and were able to easily jump over the fences. - Point Pleasant, West Virginia - March 1966 - daytime: A "reliable woman" said that she had observed a silver disc hovering above a Point Pleasant school. A male figure in a tight fitting silver coverall was "standing" (floating) outside the open door of the object in midair, gazing intently into the school playground. He had pointed features and shoulder-length hair. A similar object, she said, landed sometime later in the yard behind her home, and was witnessed by her teenaged children. A similar being was seen in this occasion as well. - Salt Lake City, Utah - July 18, 1966: Residents of this Mormon community reported seeing a bird "about as big as a Piper Cub airplane" circle the area. Some people ran for cover while others ran for their telephones. - Scott, Mississippi - September 1 1966 - 2:00pm: Mrs James Ikart reported seeing what looked like a man fluttering about the sky. Several other people also said they had seen it. No other information. - Point Pleasant, West Virginia - November 1 1966: A national guardsman saw a large brownish man-shaped figure on the limb of a tree. No other information. As history, legend, and folklore note, there are far more than a few cases on record where strange creatures, and mysterious entities, have been seen in the direct vicinity of bridges. A classic example is a case I have extensively investigated, that of the so-called “Man-Monkey” of Bridge 39 on England’s centuries-old Shropshire Union Canal. Numerous reports – dating back to 1879 – exist of the hairy, shining-eyed, monkey-like animal leaping out of the surrounding and dense trees and scaring the living daylights out of the unwary. Then there is the Goat-Man of Denton, Texas, which haunts the town’s Old Alton Bridge. Some say the beast is quite literally half-human and half-goat – a theory which is, of course, as impossible as it is laughable. Others suggest the creature is one of definitive paranormal proportions. Whatever “it” may be, however, the mystery and the legend seem unlikely to go away any time soon. It sure looks kinda like a bat. Why would a bat be flying in the daytime tho? As Child when lived in the Bronx circa 1955-1967) I and sometimes my older brother Chuck and younger brother Ralph started having visitations from an enitity we called a Conzwell, Gonzwell, or Mr. Gonzwell depending on how it manifested the experience is posted here already Mr. Gonwell What Was It?" so I won't go into it I only am interjecting that this thing was a real living thinking shape shifting being. 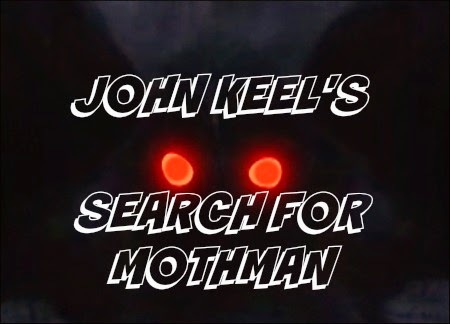 It was not until I mer the late John Keel at one of his mobtgly meetings in Manhattan NYC that he made the connection to Gonzwell and Mothman even though according to him my sightings of It started long before the Pount Pleasent encounters. Alrhough It's appearance sceared the hell out of me back then, it never hurt me, but only spoke angrily of what had been done to It's home. I today believe It to have been a Nature Spirit, or an Ally as some Native American call them. Looking at what is happening to our natural world roday I well understand It's anger. That picture is a perfect rendition of Mr. Gonzwell. I think I'll leave this subject alone. It's striking too close to home for me now. I've read other reports that describe it similar to that. They say it has a large head and eyes but more of a man's body with big wings. Maybe there is another species of creature hiding out there like bigfoot. Anything is possible. I really think it had to do eith a nature spirit and maybe in the end that is also what Bigfootin some native Costums Bigfoot are too,for in some traditional beliefs they are called Caretakers of the forests, in others they are considered humans, while in others they were known to take and eat children, mate with human women eat them too, as well as men. There seem to be many types of them. It is European hubris and igannance that painted as being apes, just as the same weltanschauung that calls everything and anything different from them as either animal or monster. Hell not that long ago I was not even consisered human. Back in the 50s when my older visited Canada as a child with my cousin and their parents he he asked them why it was that everytime they past some groups of white people when he looked back they were stairing at them. "Don't worry about that boy tthey think we are like monkeys so they're iust looking for our tails." I watch some meteor showers, so I was watching for the taurid fire balls; turned out lights in the house so it would dark; went to see if there was anything happening. Stood there, waited for about five or ten minutes and seen my first fire ball. Knowing this would be a good night I set myself up with an Adirondack chair with soft drink, blanket cushion, for lengthy stay. Saw one or two small ones, about to lose interest when, while facing north, I could barely make out something coming straight at me about 30 degrees off horizon. It had no lights, made no noise, seem to be gliding. Couldn't make out what it was, but looked to be about 20ft across with, I thought, something hanging down underneath. Not knowing what it was or what to expect, I started to get a better look at this thing. My mind and eyes wouldn't let me accept what I was seeing. It glided straight over my porch with roof, so I jumped up and ran to south end of porch. Waiting for it to come on over, there it was. It looked to be 1 or 2 hundred feet above me. With a loud Yelp, hollered what is .? ! #that with other choice words. Watched it glide out of sight. I do some flying, Cessna, and can judge pretty well how high something is and by judging with that if it were a plane I could have read the numbers on a plane. I could see it! It seem to adjust for gliding but had no known propulsion. Stayed even keel, same elevation, same speed, same direction. First I said taradactyl? But no visible head, letting my head accept what I seen. It seemed to be some sort of entity. And my searching the internet I came across Mothman. With what I thought were light colored bags hanging down. Now I'm thinking legs hanging down. With dark brown wings. But enough about what I think, there you go. That's my story and I'm sticking to it. LOL! Gee! thanks Paul. a mothman in my home town. How creepy is that? I don't think I will be going out at all at night. Of course our own newspaper would never put this in our Pantagraph paper. Wonder if it was someone I know. Don't know, Lois! The MUFON report showed it over by the Ironwood Golf Course on I55, but of course that's an approximation. I tend to agree with Jokelly on this. If ever there was a case for some type of dimensional being, Mothman would probably take the cake. There are some theories out there that when the earth is stressed at certain places, I.E. earthquakes, volcanoes and man made stuff like mine cave-ins, nuclear blasts and even deep building foundations collapsing, much like the Point Pleasant bridge, these stresses open a portal to a new dimension or a new world. Which may be one of the reasons Mothman-like beings are mostly seen around bridges. Who knows? To me, The most interesting thing about Mothman was the way it flew. Although it had wings, no one ever mentioned the fact that it flapped them for propulsion. Therefore, they could not have been wings in the sense that we understand them. Another thing is that, in many cases, Mothman took off by going straight up without a sound. How could it do this? Nothing on this earth, nothing of this dimension, is capable of that kind of flight. Of course, if you were from another dimension, that may not even be called flight at all. It may just mean getting from one place to another, because gravity may not even exist. But who knows? Realistically, the only other possibility, if we choose to believe that Mothman is real, is that it was an alien from another planet or universe. Of course then you have to ask yourself this. Why would some alien want to hang around a bridge that was destined to collapse? But, if some inter-dimensional being knew that the collapse of the bridge meant it could get back home, because a stress portal would open, you're damn right it would hang around there and wait. After all, once the bridge collapsed, Mothman was no longer seen again, probably going back home to its own dimension or space continuum. And so it goes. Can we also think, maybe the materials/minerals/composition used on the bridge, bridge(s), is a factor? Is it only rumor that some aliens seem interested in our, well, rocks? Whoa, this picture posted on facebook by Richard Christianson has gone viral. It has been shared over 80 thousands times and been featured in numerous videos, forums and blogs. Many people say it is a demon or an angel. One person even said it was an elephant, huh? The eerie standing figure is a rather frightful image. There has been much debate about the figure. What is it? Is it a hoax? and on and on. While others find the picture fascinating and think the image could be supernatural, I think there is a more earthly explanation to the figure. Lets explore to find out more about it. First, there was some pretty good debate about the image. Some said it was just an odd shaped palm tree. But the palm tree theory was quickly rebuked my others, saying that palm trees don't grow there. The picture was reportedly taken by Mr. Christianson in Arizona. I thought that palm trees grew in Arizona but wanted to be sure. So I was able to find out the general area where Mr. Christianson lives and when to google maps. The area is Laveen, AZ. Below is a picture, using google maps, of the area. You will notice that yes palm trees do grow in this particular area. So, that confirms that palm trees do grow in this area. But what are the chances of it looking like an angel? Well, I did find another odd looking tree in this area and here is a picture of it. Notice that the tree just right of center of the picture looks like a giant hand with a finger pointing up. Pretty cool and random. But I do not think the mystery figure picture is just a normal, but odd, growing tree. Also, I do not think it is photoshopped and the figure is actually there, but what is it? Well, I'm not even convinced it is a palm tree, but I do think it is a tree. So, why the odd shape? Power lines. Very often the center or top of trees are cut away to keep them out of powerlines. This can create some odd shaped trees. Then you add in a hazy night and the right angle and you have a winged demon landing on earth. I know some will still insist this is a demon returned to earth to kill all of us but that is okay. I would assume that Mr. Christianson knows exactly what it is and that a simple day time picture of the area could clear the mystery up. But, he is getting massive amounts of views and interest so he is riding the wave. At the very least it is giving people something to debate and wonder about. It looks like a person holding something to me. I don't think it's an angle cuz the head is way too tiny. Angles don't have tiny heads. It sure as heck doesn't look like a tree tho. I’m obsessed with the “Mothman”, a winged creature with beaming red eyes that typical appears before a major disaster. They once made an excellent movie about it, The Mothman Prophecies, which starred Richard Gere as a reporter who is drawn to a small West Virginia town to investigate a series of strange events, including psychic visions and the appearance of bizarre entities. The Mothman of Point Pleasant chronicles the historic happenings that took place over the span of 13 months in 1966-67 in West Virginia. After a late-night run in with a freakish flying “thing” near an abandoned munitions factory, four people report their sighting to local police which sparks a “media frenzy”. Over the following year more strange happenings take place as Men in Black and UFOs descend on the town. But what actually happened in Point Pleasant? Learn the true story behind the infamous motorman accounts from the people who lived them in this follow-up to STM’s award-winning “Boggy Creek Monster”. The documentary film looks to retell the Mothman legend through eyewitness testimony and the perspective of Point Pleasant citizens. The Mothman was first sighted in 1966 and sightings continued until around the time a bridge that connected the West Virginia town of Point Pleasant to the Ohio town of Gallipolis collapsed in 1967. The documentary will tell not only the Mothman stories but the entire thirteen month span between the first sightings and the bridge collapse. Seth Breedlove, the film’s director promises recently-discovered history connected to the Mothman legends as well as new, untold encounter stories. He goes on the say that the collapse of the Silver Bridge is integral to the story but does not believe the tragedy was connected to the Mothman stories. Small Town Monsters has produced three award-winning films including the recent, Boggy Creek Monster which took all honors at the annual Hollywood International Independent Documentary Awards. Production of The Mothman of Point Pleasant was entirely self-financed though, a Kickstarter campaign to help fund post-production (as well as a fifth STM film, already in the works) will launch on February 2nd. The Mothman of Point Pleasant has tapped Brandon Dalo to compose an original score (heard briefly in the teaser) and author and television personality, Lyle Blackburn, to executive produce and narrate. Zac Palmisano has returned as director of photography while Seth Breedlove directs, writes, and produces the film. Famed poster artist, Sam Shearon will contribute a brand new take on the Mothman in the official one-sheet. Small Town Monsters returns for their fourth cryptozoology documentary! The Mothman of Point Pleasant chronicles the historic happenings that took place over the span of 13 months in 1966-67 in West Virginia. After a late-night run in with a freakish flying "thing" near an abandoned munitions factory, four people report their sighting to local police which sparks a "media frenzy". Over the following year more strange happenings take place as Men in Black and UFOs descend on the town. But what actually happened in Point Pleasant? Learn the true story behind the infamous Mothman accounts from the people who lived them in this follow-up to STM's award-winning "Boggy Creek Monster". The short vid announces that doc producers are still looking for funds through kuckstarter on February 2. I DO think there is enough documentation, witnesses, etc. for this to be a truthful, factual, documentary WITHOUT embellishments. I believe the story for one reason..there were so many sightings. No telling what it really was...some alien...some being trapped from another dimension who fell through...I've only those two ideas in my wee brain. He may have found a ride home..or died somewhere along the way. I'm glad there aren't a lot more of them around...and I sure don't want to find one in my yard. Guess he might even have been a stray demon or a giant vampire bat but those wouldn't be my top picks. I kinda feel sorry for it...really anything that's alone.